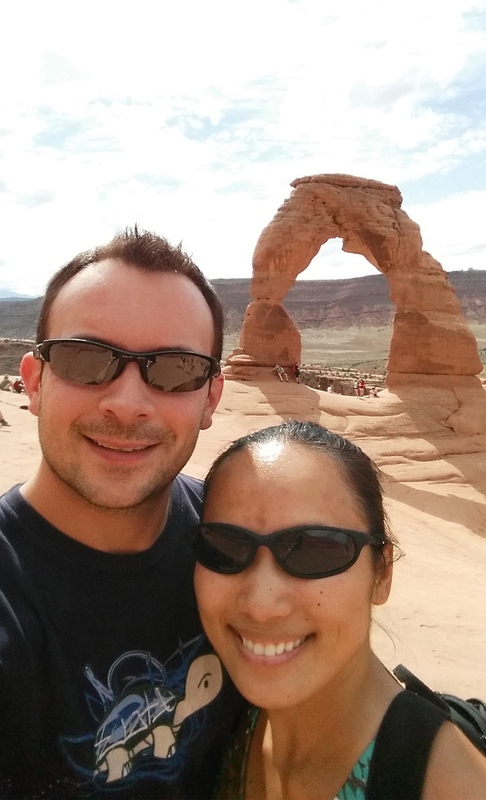 Day 1 after Lake Tahoe: Drive the 580 miles to Salt Lake City and arrive by evening. 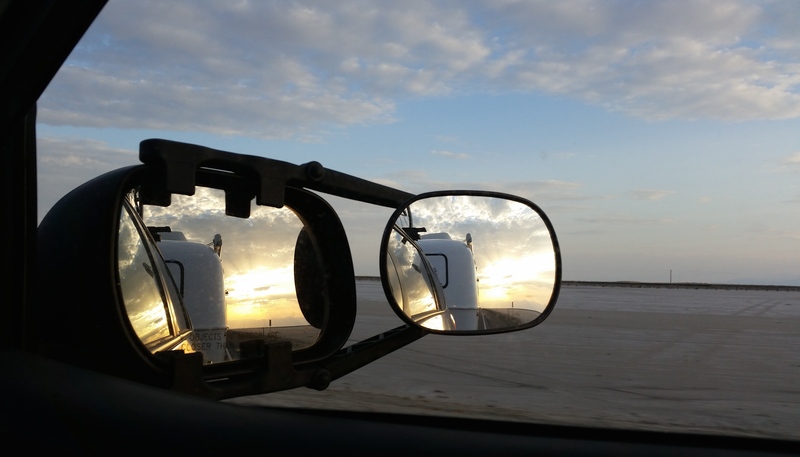 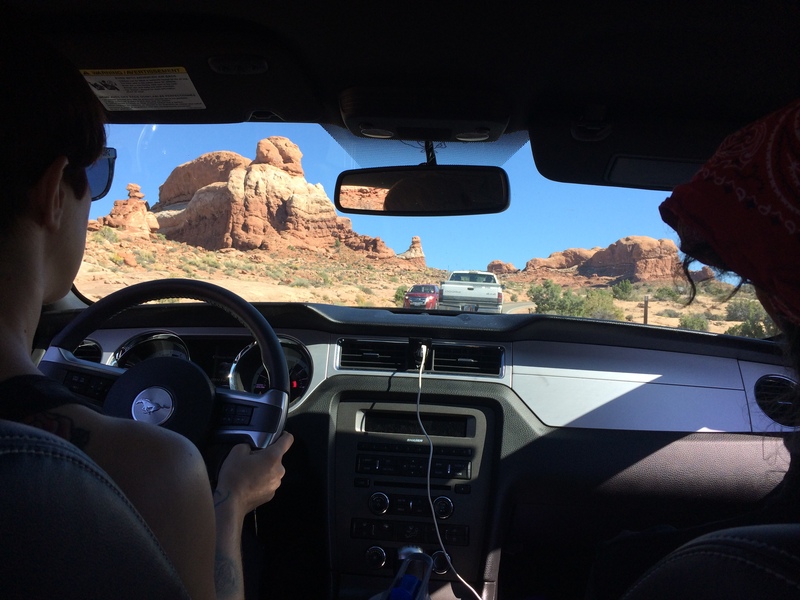 The beautiful drive took longer than expected due to towing (we had to fill up the tank every 180 miles, ugh! 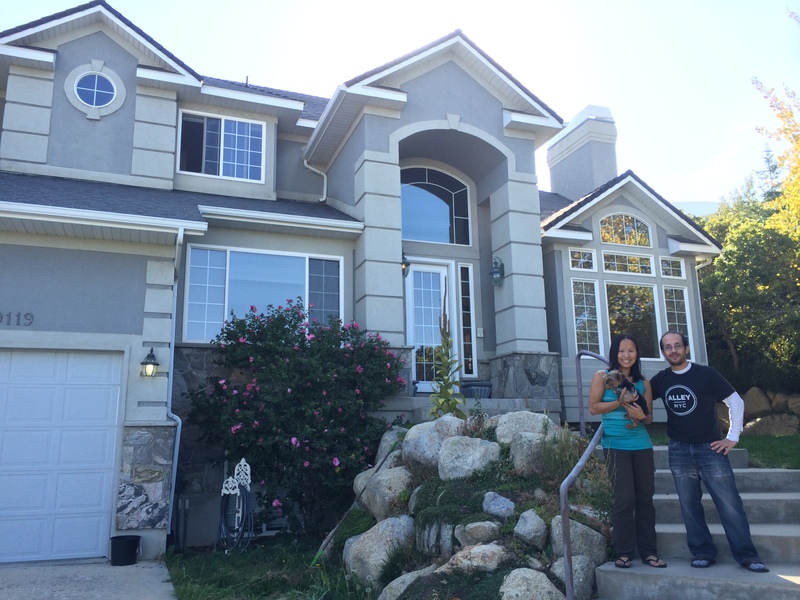 ), and after an entire bag of Cheetos and a twinge of guilt, we made it to my friend’s house by 9pm. 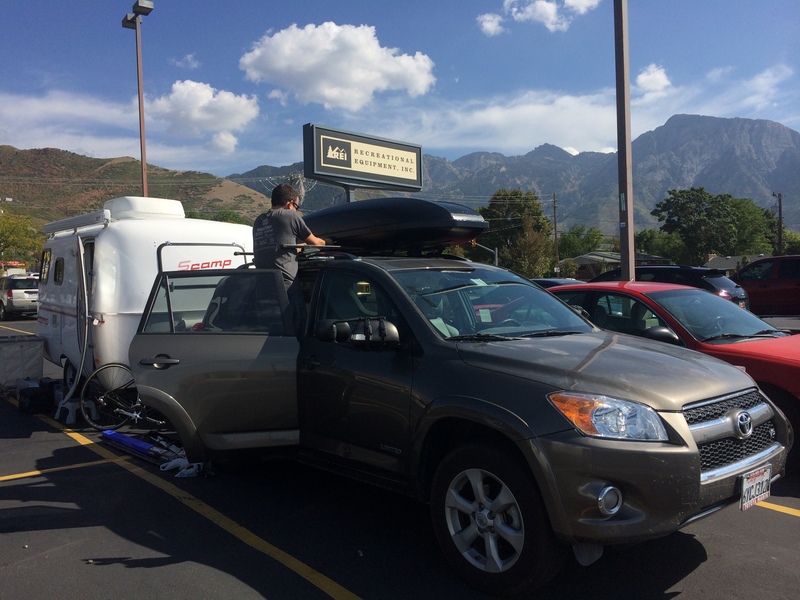 While in Salt Lake, we hooked up our Toyota RAV4 with a new accessory for our journey, a Yakima skybox. 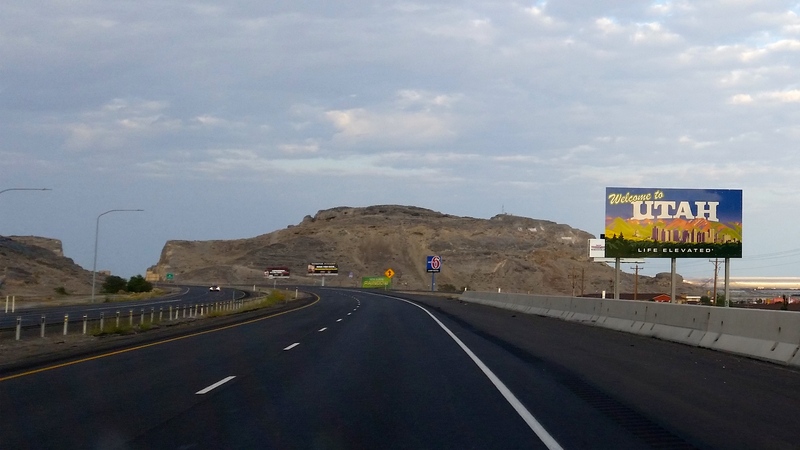 Our lives just got more convenient. 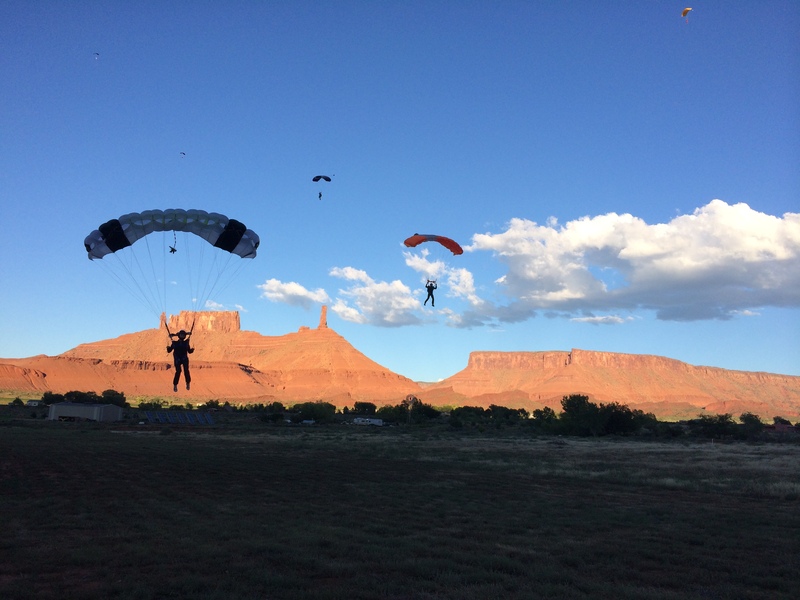 And finally, we ventured down to Moab for the annual Skydive Moab Boogie, the only time of year where solo licensed sky divers can jump in Moab. 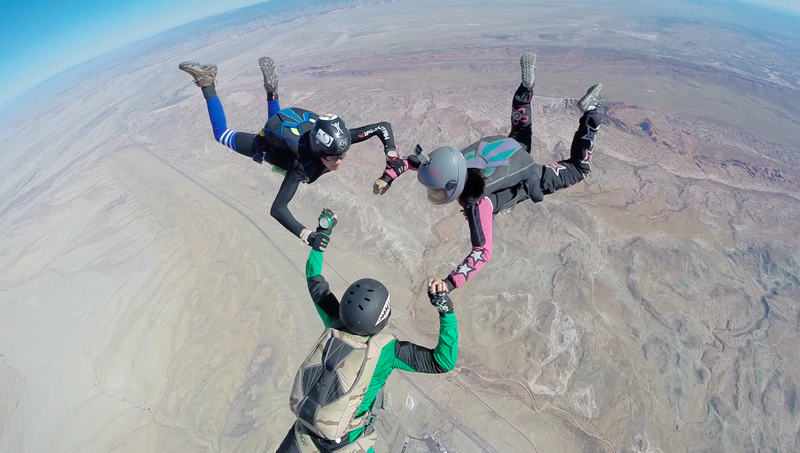 Throughout the rest of the year, it is strictly a tandem-only drop zone. 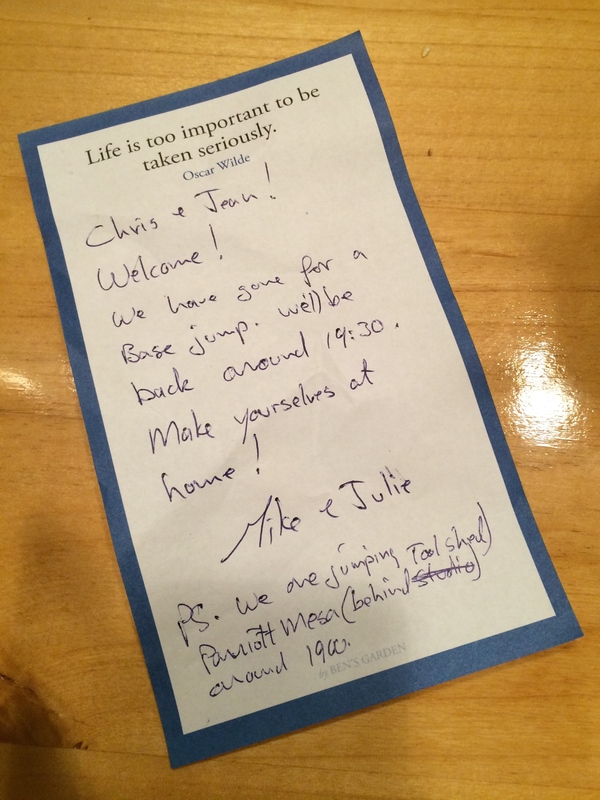 We arrived at our friend’s house in Castle Valley right before sunset, where a note was left for us at their front door. 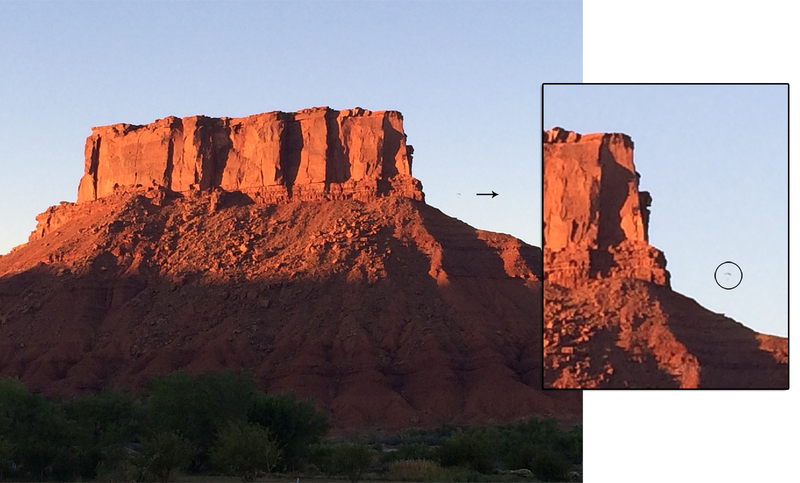 We set up Scromp, pulled out some chairs and wine, enveloped ourselves in Castle Valley’s beauty, and eagerly waited to witness our friends jump off the crimson cliffs of Parriott Mesa. 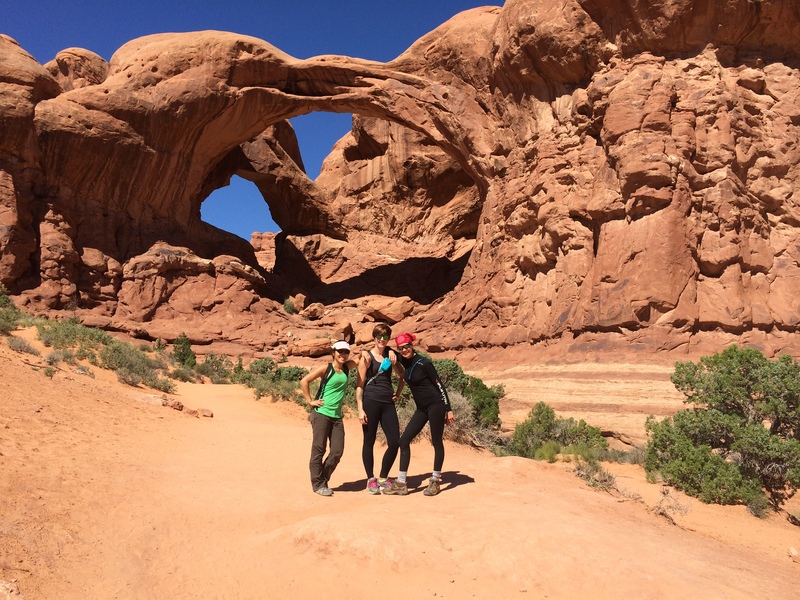 My first full day in Moab was spent at Arches National Park with a couple of my skydiver chick friends. 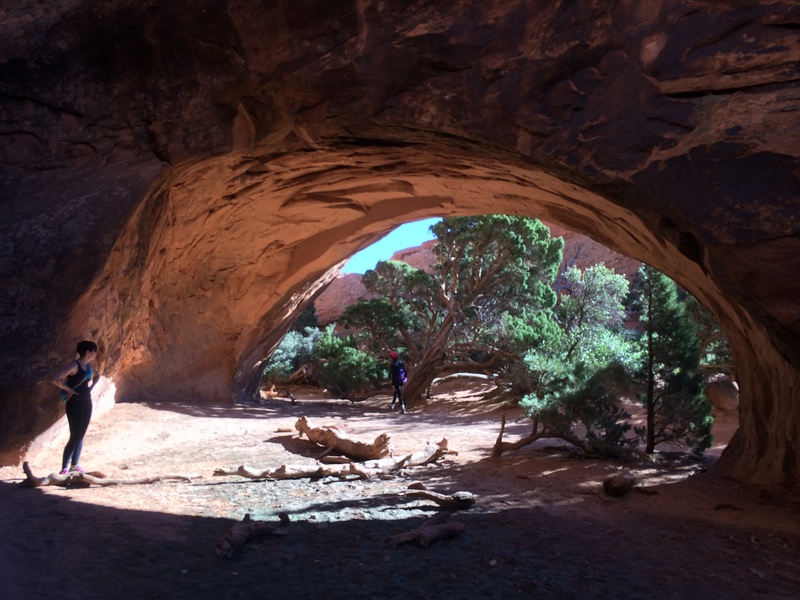 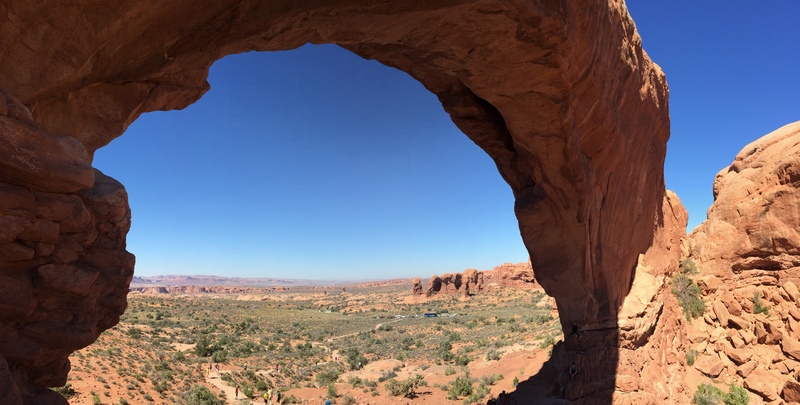 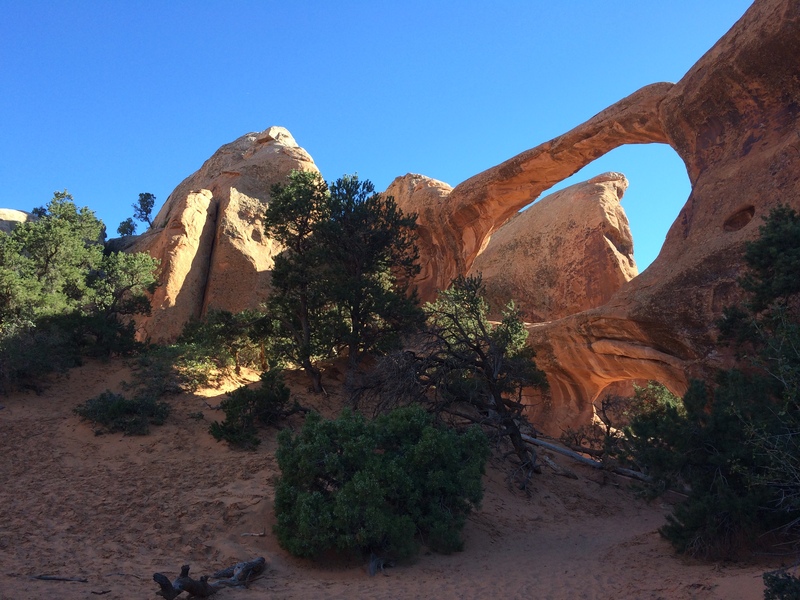 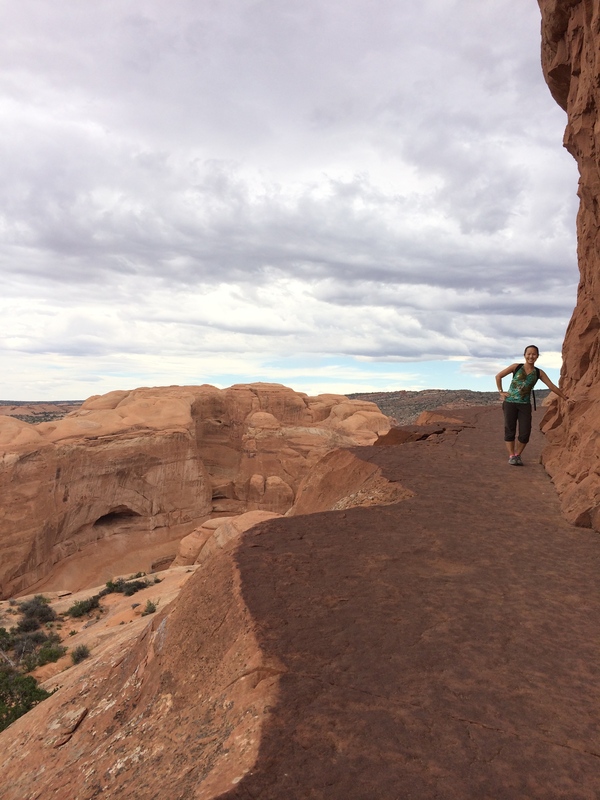 Since Arches National Park was just outside of Castle Valley, it was a convenient excursion to the skydiving trip–hiking and climbing galore! 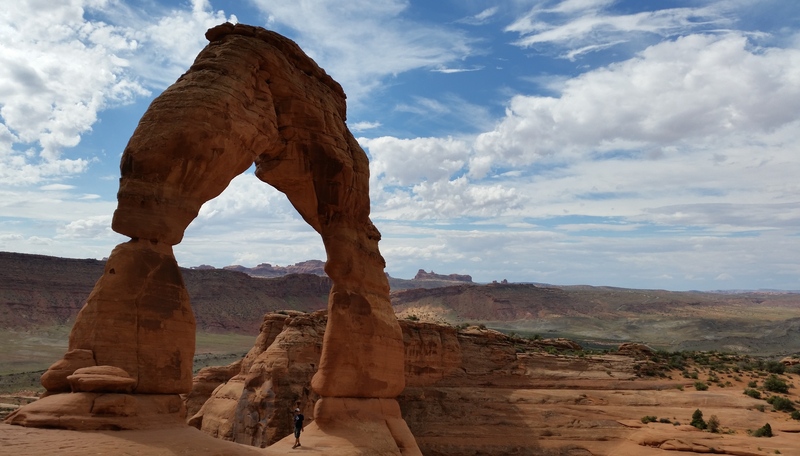 The heat caused fatigue to overtake us sooner than expected, so we saved Delicate Arch for another day. 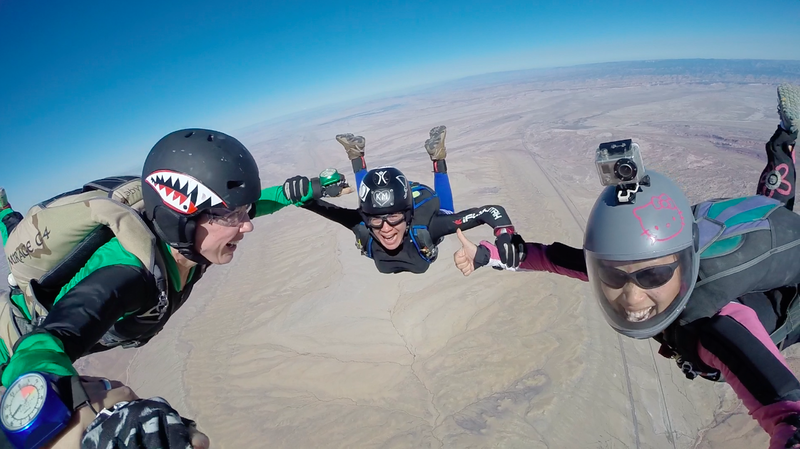 And finally, skydiving. 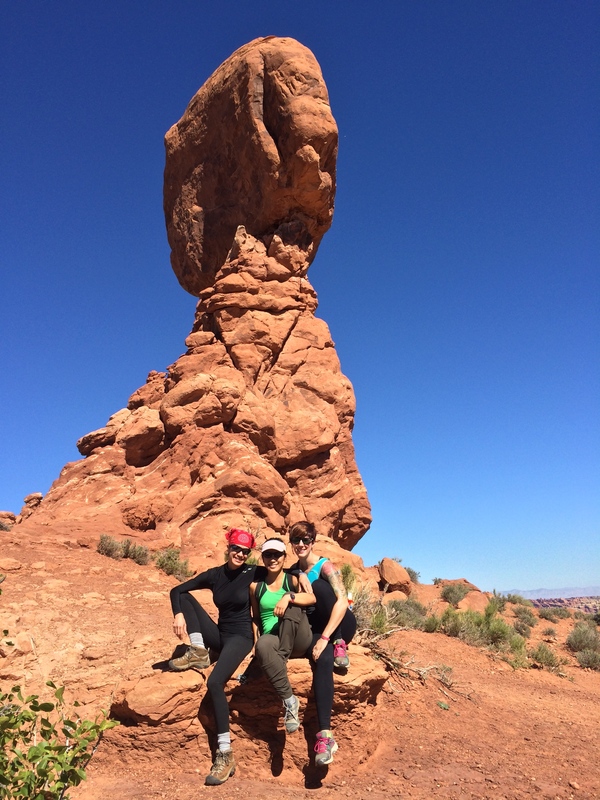 After an action-packed day of arches, we were ready to fly! 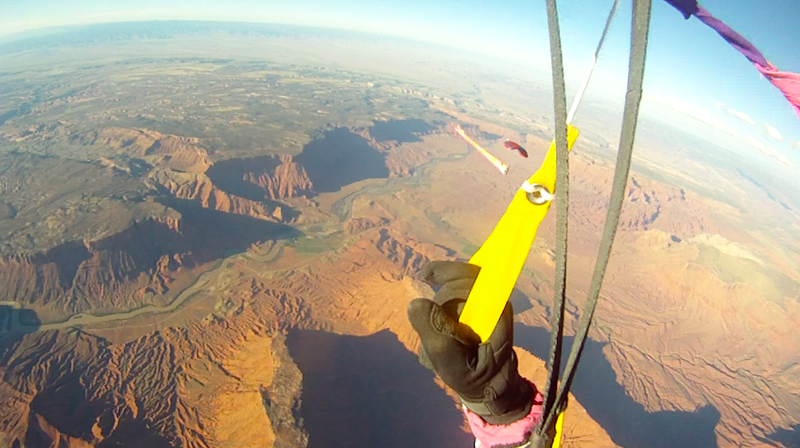 My favorite skydives have definitely been at Burning Man and Moab. 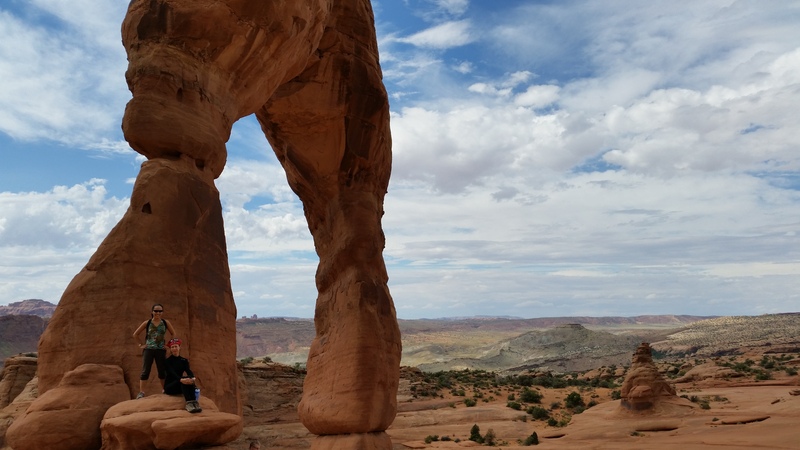 Moab is notorious for its magnificent canyons, mesas, and outdoor activities, but nothing can top parachuting over and around some of the most beautiful landscapes on earth. 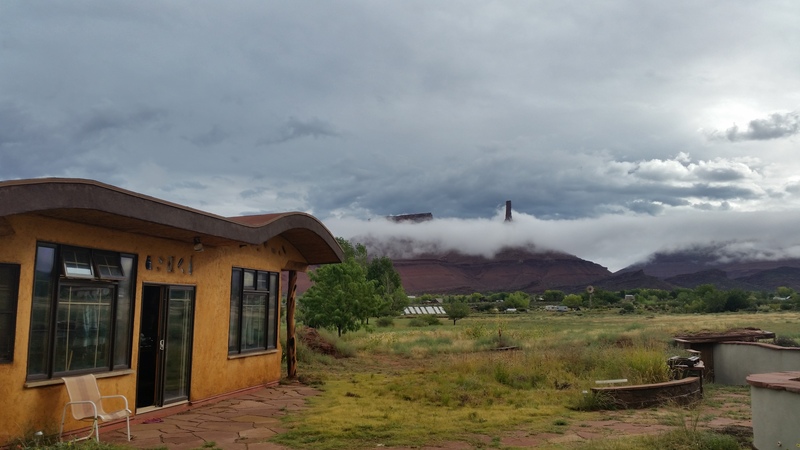 Unfortunately the weather got the best of the boogie and sporadic thunderstorms made their way over on Saturday afternoon, making the ever-so-bipolar winds shift directions even more. 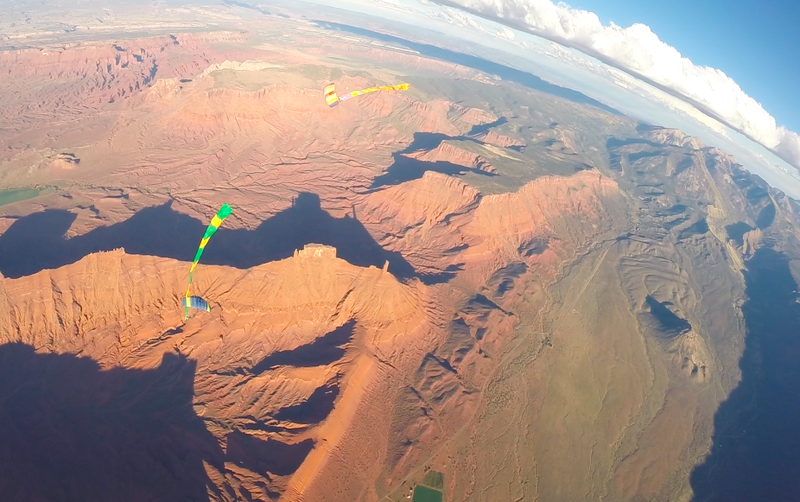 The epic off-site skydives were cancelled, so what were we left to do? 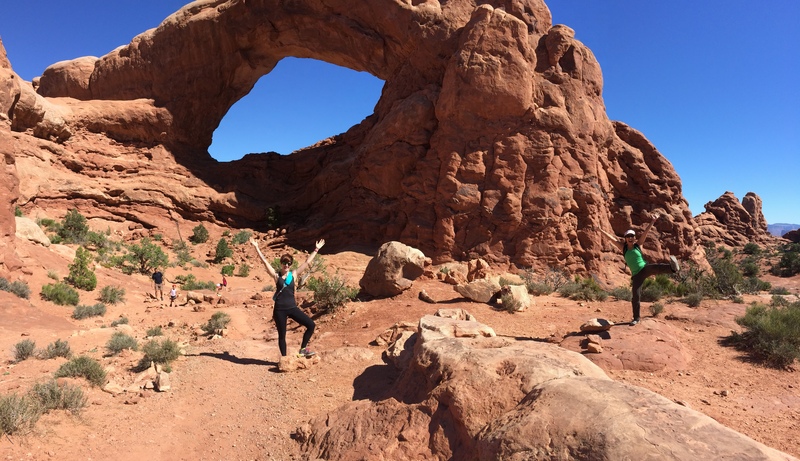 Visit Arches National Park again to visit Delicate Arch, of course! 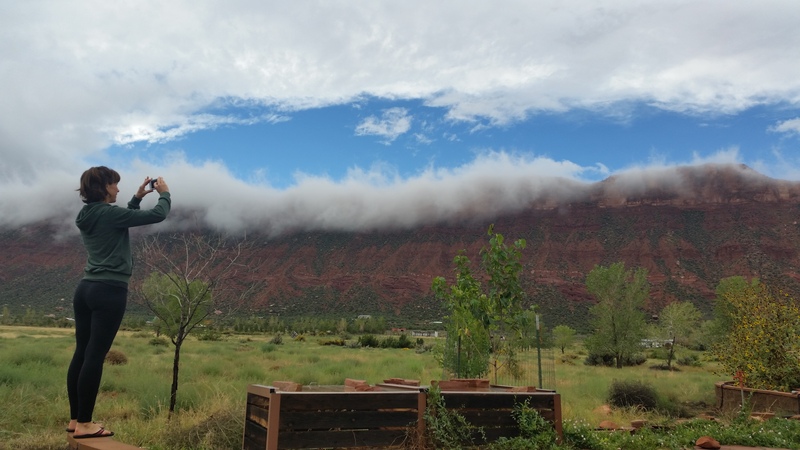 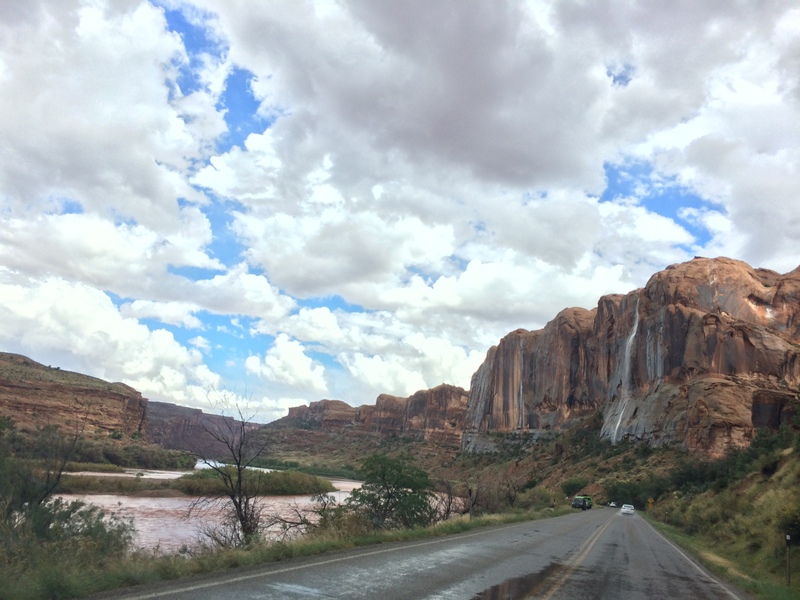 Thunder and lightning storms continued to trickle in and out of the area through the weekend, bringing along dramatic scenery that included waterfalls cascading down mesas and spires peeking through dense clouds. 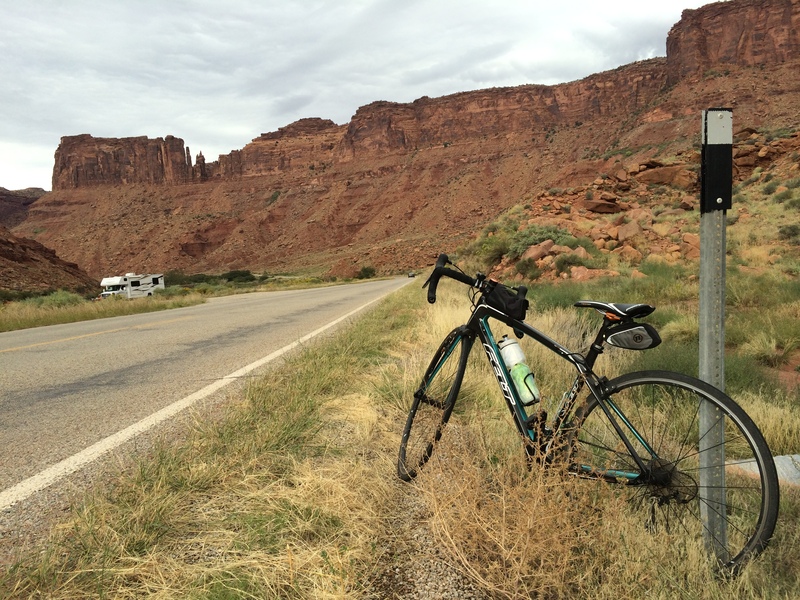 I even managed to cycle along the Colorado River, zipping by the red boulders and majestic walls of the canyons. 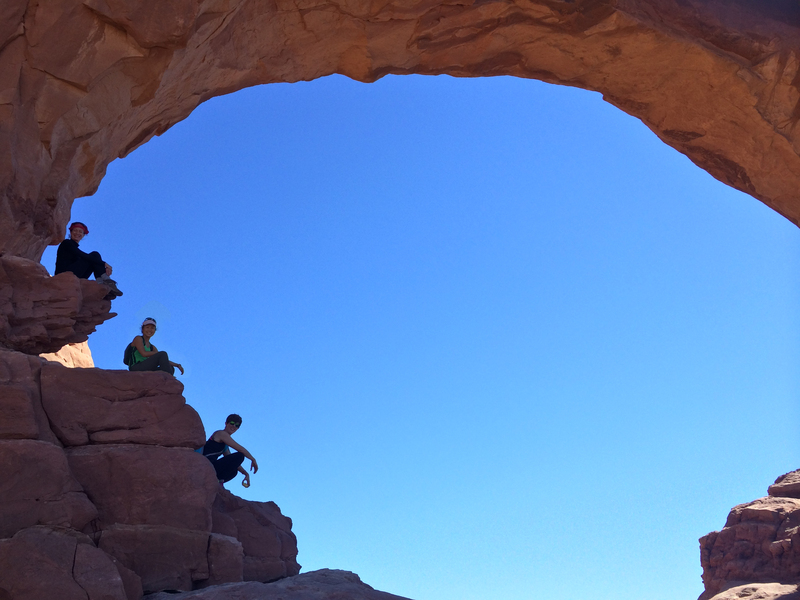 Although we only had one day of skydiving, the striking beauty of southern Utah and the company of numerous friends once again made our time in Moab unforgettable and adventure-filled. 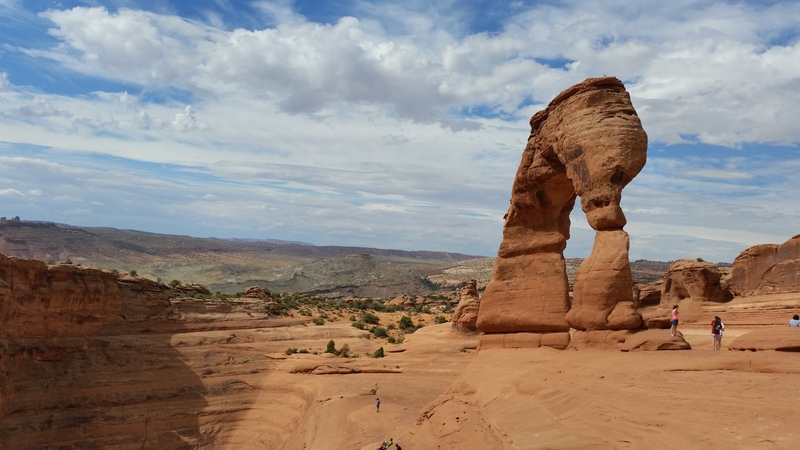 It seems as if everyone who lives in Utah has a passion for the outdoors, a passion for living life, which is why we will continue to visit Utah again and again.